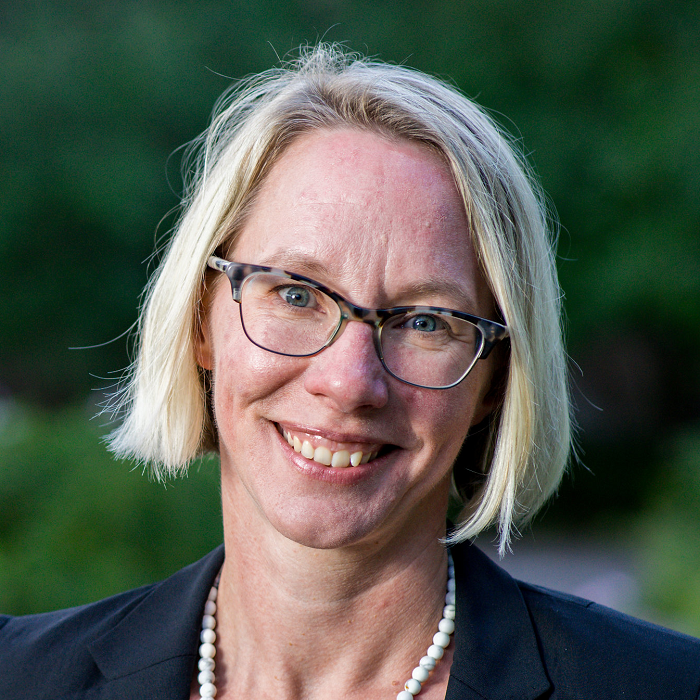 This description of Rachel Armstrong's work was prepared when Rachel Armstrong was elected to the Ashoka Fellowship in 2018. Through Farm Commons and starting with sustainable farmers, Rachel Armstrong is reforming legal services in a way that respects the client as a primary source of knowledge, inspiration, and solutions and helps changemakers thrive. Whether you’ve changed places (like an immigrant arriving in a new country) or the place you’ve known your whole life is shifting under your feet (as is the case across much of rural America), embracing change as a key to being able to thrive in the world is more critical today than ever before. For this reason Rachel Armstrong believes we must support changemakers and first movers like the immigrant entrepreneur or sustainable farmer, especially since – as Rachel has realized – such groups of innovative, values-aligned, and insular entrepreneurs are often operating ahead of or outside of existing systems like legal services that are still holding on to old ways of operating. Starting with sustainable farmers, Rachel is building the model of the ‘legal commons’ to reform legal services in a way that respects clients as a primary source of knowledge, inspiration and solutions, and that helps first sustainable farmers and then other types of innovative entrepreneurs and changemakers become less legally vulnerable and more successful. Sustainable farmers, immigrant entrepreneurs and franchisees, or new moms opening home-based daycare centers actually have a lot in common. They all have established norms and ways of doing things, they prefer to learn from each other, and they don’t have easy access to legal information and levers of power. Of these constituencies, Rachel knows sustainable farmers best; for much of her life she was one. Their business models are novel; their sales, labor, and land tenure strategies don’t fit the legal mold, which was built for the conventional farm. The foundational legal framework of the farm does not reflect or integrate the values that grant sustainable farming its potential: standard land leases do not reward the farmer for her investment in the soil; partnership agreements don’t contemplate scaling return on interest to the longer timeframe necessary for profitability; and sales agreements do not accommodate the unpredictability wrought by climate change. And though these details speak to Rachel’s depth of understanding of her chosen field, she’s quick to point out that “the legal instability faced by sustainable farmers is not exclusive to those farming the land responsibly.” Sustainable farmers are just one case study that illustrates how broken small business legal services is in the United States. Business people of all stripes struggle to find affordable, quality legal services that embody their values. This of course is a two way street. It’s not just that farmers and business folks are innovating faster than, say, today’s legal sector’s ability to keep up. Rachel notes that “the legal services industry is going through a huge disruption as attorney value is questioned, fees rise, firms collapse, and law schools go under.” While general practice attorneys are currently the primary source of legal information and assistance for farmers and small business in general, there are often engaged narrowly “to keep the IRS off my back”, and according to farmers themselves, are not thought to actually understand farming, nor to be very helpful. And Rachel agrees that they don’t; “Farm law is a specialty, to say nothing of the nuanced complications within farm law for the sustainable farm operation. The affordable small business attorney cannot afford to specialize, even where they are present in rural and small communities.” They are less present because of how student debt and low rural profitability has pushed most beginning lawyers to big cities, and where book publishers and online template providers have filled other niches, they haven’t found it profitable to tackle the nuance in farm law. The few legal professionals that remain tend to obscure the fact that writing a lease is actually quite simple; rather than fostering values or supporting innovation, small town lawyers are to worried about looking smart or making a profit. But – as is always the case – this is easier said than done. Now is not a great time for farmers of any type to step out of their day-to-day (often hand-to-mouth) existences and discuss the virtues of a legal commons. In fact, farmers are in crisis mode; 90% of all farms disappeared from rural America between 1970 and 2000. The land is still there, of course. What’s changed is that it has been consolidated into corporate ownership and management. According to Rachel, who grew up in rural Minnesota against this backdrop, “the [conventional] farmers that remain are like modern-day serfs” unable to afford land or laboring under a vertically integrated system supplying one company one product, for life. In Nov 2017 the Omaha World Herald cited a USDA report that found “median income from farming is expected to be a negative $1,093 [in 2018], with more than half of farm households losing money by farming.” This means that farmers and their families must rely on non-farm income to make ends meet, and this strain on families (and on traditional gender roles) has Minnesota Public Radio and the Minneapolis Star Tribune reporting that farmer suicides in that state are higher than they’ve been in nearly 40 yrs, worse even than rates for combat veterans. The “free fall” of commodity farming has been met by an encouraging wave of sustainable farming, but for this wave to be sustained – much less provide an alternative to struggling farmers – these folks, too, have more work to do. Fundamentally, Farm Commons restructures legal services as a legal commons. Just as a land commons is a resource managed by the whole for the mutual benefit of the entire community, so can a legal commons allow people to manage their legal affairs for their mutual benefit. Within a legal commons, people are connected to each other and share the tools to collectively determine the use of a shared resource, while mutually enforcing agreed upon terms within their community. Farm Commons creates this ecosystem within the realm of the law. Farm Commons builds a legal commons, then, by bringing together the community of working sustainable farmers, collaboratively creating heir desired legal solutions, memorializing them in paperwork, and sharing them. Most actively during the winter “down season”, they build farmer community and knowledge of the law through workshops, print materials, and online educational forums. They have “co-presenters” in ten communities across the Midwest that convene either “Farm Law 101” workshops or strategy sessions. Of farmers attending workshops, 89% planned to make at least one specific, legal-risk reducing change to their farm business. Two to three months later, 100% had already made at least one change and over 95% still planned to make additional changes. Changes include things like forming an LLC or getting an operating agreement written down and participating farmers – on average – make 4.5 out of 16 recommendations, usually within 3 months. Meanwhile, strategy sessions in places like Bayfield, WI or Ashland, WI see farmers coming together to pilot new and legally sound solutions in areas where, for example, the tourism economy is limiting the housing stock and making it hard to attract seasonal workers, but where a ski hill has available housing. With housing and protections for migrant workers being a particularly complicated area of the law, the solution this community came to was detailed, shared, and of real interest across the region. Throughout the rest of the year, a backbone Farm Commons team and the community-embedded “co-presenters” play the role of librarians of the 80+ resources and the 1,000s of pages of materials available on FarmCommons.org. A farmer can use the “My Farm Law To Do List” - an online diagnostic and quiz - to be guided to the right document, and Farm Commons colleagues regularly show up at networking events and old-fashioned conferences, still very popular in farm culture. With an eye towards expansion, new co-presenters are identified at each workshop, and enter a vetting and training process. Going forward, Rachel envisions building more of a state-by-state – and ultimately nationwide - node concept with a target of three farmer leaders in each state. For increasing numbers of farmers directly involved, Rachel is proving that it is possible to reform legal services to place the inherent knowledge, solutions, and creativity of the entrepreneur at the center. But for the promise of the legal commons model to spread, it needs to disrupt the legal services industry where the status quo is entrenched. Here Rachel finds that it is helpful to point out that the vision of a legal commons is a model for user-generated law where attorneys are less central, but still a critical player. In the emerging model, entrepreneurs absolutely access attorney expertise while developing community-led solutions that create authentic change and values-driven stability. But instead of being offered answers (or sent to other service providers, be they insurance agents or other lawyers), the attorney will be trained in how to understand the many facets of the problem a client is facing and not offer an answer, but mobilize towards some action, supported by the living examples offered up by the field and living in the legal commons. Rachel is planning to have an “attorney mentoring model” launched but the end of 2018 to formally help the profession navigate the redefinition of the character of the attorney-entrepreneur relationship. As more farmers see their values reflected in the law and embrace changes that make their enterprises more stable and secure, not only are they more successful but they gain an even greater sense of autonomy, self-determination, and control… things that are also particularly attractive to commodity farmers, and sorely missing. As price takers, subject to whims of buyers, government, trade policies, Rachel hopes that we might invite them to experience the freedom that sustainable famers feel and, by helping alternative choices become more visible and viable, offer these conventional (and struggling) farmers a pathway into more sustainable, cohesive, resilient way of living on and working the land. Against the “free fall” of commodity farming, the challenges presented by climate change, and the strain on rural relationships at home and beyond, Rachel sees her work as ultimately having the potential to inspire a shift towards more regenerative practices with farmers collaborating, working in concert with nature to heal scarred land, and enriching the rural conversation (as sustainable farms are increasingly owned by women, minorities, and first-generation farmers with diverse perspectives). Beyond farming, Rachel is already cultivating partnerships and alliances so that other professions that can benefit from their own legal commons. In looking at the growing prevalence of workers in the “gig economy”, for example, Michelle Miller of CoWorker.org not only sees the value of the legal commons approach, but notes that famers were living in the "gig economy" long before the rest of us, and as such, they are in the best position to point the way out. “Farmers are showing the way. Farm Commons helps make it legally legitimate, now.” This is because Rachel believes that humans are able to be our best selves when we feel a sense of belonging, value, and dignity within a community; a force a legal commons helps create. Needing to soothe her soul again, Rachel returned to where she belonged and found “a vibrant community of farmers who made a living growing environmentally sustainable food.” Her entrepreneurial tendencies were on full display. While working as a farmhand, managing community gardens, and helping steer a coalition of farms, she launched a catering business that used local foods and founded a farm-to-chef marketing program that raised $50,000 within one year. At the same time, however, she realized that her community needed legal support and became worried for the future of the sustainable food movement. “If we couldn’t answer our most basic legal questions, what kind of foundation were we building our movement upon?” It was this question that she carried with her to law school and that Farm Commons is trying to answer.